Ayriel was fantastic. Knowledgeable, great attitude and organized. She sold me on my first unit. If you want to be made to feel at home this is the place. there are always complimentary snacks and cold beverages and smiling faces. they also offer a free moving truck with rental witch sold me. I was helped by a customer service rep named Aryiel. she was extremely helpful and made sure i got the unit i needed. Oh yea and they are pet friendly and are nice to my dog every time we go in. I have used this storage company for several months and have really enjoyed the usage. The units are always clean and the climate control temp is always great. I have no problem putting fragile things in this unit. Oh and the staff is awesome always there to help in anyway they can. I also like the convince because it is close to my home. If you need storage this is the place to go!!!! The staff is friendly and super helpful! Also the free truck rental is a sweet add on! I haven't even met the onsite manager yet but I love this place. How could you possibly feel any other way I won't have to go to the U-Haul for a Truck 2 move in or out. If you need help being relocated,... Well, they help you with that as well. How much y'all know everything after I'm on the property for the first time. the property manager really cares about not only the customers but about the appearance of the place. it is very clean and pleasant. she knows and shows a confidence in her knowledge of the different storage units. 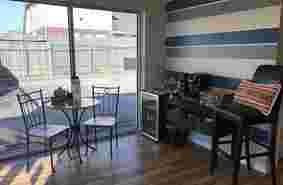 I love the comfortable setting, accenting the consideration, and courtesy of home. Love the snacks idea. Office was clean and organized. Melody was courteous and kind, and genuinely considerate of our thoughts and feelings. The moving truck is definitely a plus. I have used this storage facility through several names and managers, and now; As far as the facility, it didn't flood during Hurricane Harvey, and it is clean and safe. As for the service: this is the BEST service, cleanliness and management by FAR I have ever seen! No wonder people are waiting to get in there! The staff member, Melanie always goes the extra mile! I would use them again in a minute! LockTite Storage is a superb storage solution. Customer service and clean facilities are top reasons to choose LockTite. Great staff and super value. Thank you, LockTite!! This office is so clean and has a such a homey feeling, not at all like other storage places I have been in! The staff is very pleasant and helpful (and they have snacks)!!!! The best part is they have a FREE truck they let you use for moving in or out! That totally saves me since I dont have a truck! What a refreshing presentation! Wow, the organized cleanliness of this office sets the tone of efficiency and professionalism to the max. Melody's hospitality truly was the icing on the cake. I can't praise it enough. One of the best reasons for their location is that it was high and dry during Harvey. They have great service and very friendly and cooperative people. Very convenient, as it so close to get on and get off of the Beltway and 45. I rent my storage there and i love it! Melody is so helpful and has made everything so much easier! Pamela was great to us! She answered all our impossible questions. And made us feel comfortable. We truly recommend this storage location to anyone. I know our belongings will be protected. Pamela is friendly and makes your transaction as a smooth transaction! 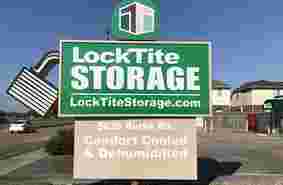 I guarantee you will be happy by selecting LockTite Storage. 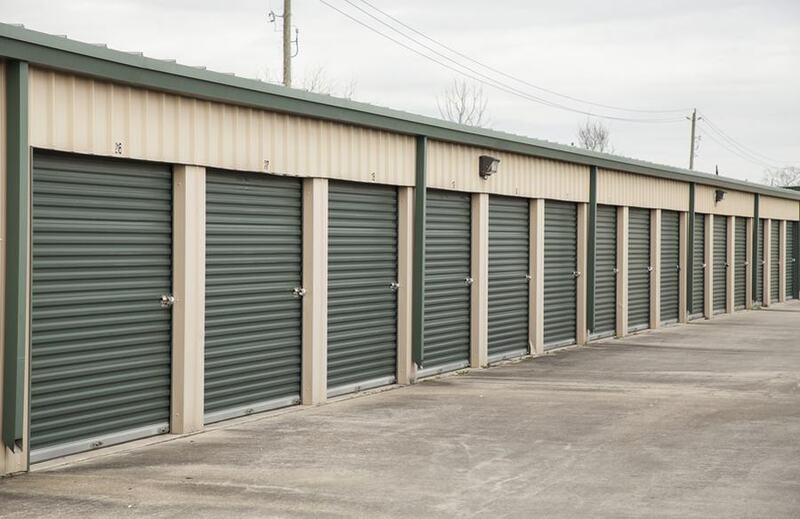 This is the cleanest storage facility in town! They have all you need in supplies in 1 place to accommodate the small moves to the largest moves! Climate control storage for all of your delicate items, clothes and furniture. Or maybe an extra space for storing your household items in between moves, extra garage space, etc... Oh and they didn't flood during Harvey like several storages in town did! Pamela at Locktite Storage in Pasadena is the expert when it comes to storage rental and usage. We werent sure what size storage we needed and if we needed humidity control. She was able to discern those needs and more. She is courteous and kind and answered all of our questions. I would highly recommend the Pasadena location if youre looking for storage. Great place. Excellent customer service. Pamela rocks! Great employees, very nice and clean area. Pamela was super nice at ck in. She really knows her storage. Knew what size i needed based on the info i gave her. Made the entire process of renting storage easy. Yes i will tell my friends and cliants all about LockTite Storage of Pasadena. Not much to say. Its very convenient when you need extra space. Pamela was very helpful in getting me set up. Locktite storage is a very good place to store your stuff. The facility is clean and efficient. The staff is a delight to work with, especially Pamela. 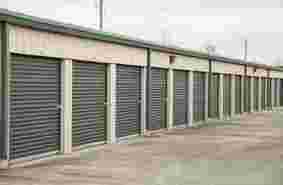 She made our business experience fun and gives me confidence this is a safe and trustworthy storage facility. She and locktite are very professional. They gave us a free lock. Two months later half our stuff is missing and there is a new extra lock on the door. No further investigation needed. STAY AWAY! BUYER BEWARE of crooked staff. As part of the greater Houston area, Pasadena is among the most populous cities in Texas. It is an area surrounded by rich history, beautiful nature, and innovative science experiences. Have you ever wanted to learn more about outer space and our marvelous galaxy? Well lucky you - not too far away, we have the Space Center of Houston which is sure to delight every age group. Visit the historic San Jacinto Battleground for a fun way to learn about our history and enjoy the great outdoors! For animal lovers, Pasadena is home to the Armand Bayou Nature Center. This locale serves as both a park and a nature center where visitors can see amazing animals like bison and alligators. But not all is science, nature, and history. Pasadena has a wide variety of retail shops, many of which are located near our LockTite Storage facility on Burke Road. Some major retailers include Marshalls, Sephora, JCPenney, Palais Royal, Finish Line, and Target. Many also adore a cute all women's clothing store called Rainbow Shops. Pasadena has many different restaurants for whatever your taste buds may be craving. One restaurant in Pasadena helps you out when you just can’t decide on one or the other. Do you love seafood but someone else is craving pizza? Pasadena has one restaurant where you can find both in the same place! We highly recommend Village Pizza and Seafood. The local restaurant boasts many delicious menu options and makes you feel right at home. We suggest trying their Chicken Parmesan Sub. If you don't have time to stop in, they deliver! For a Mexican flare, try out Los Amigos Tex-Mex off of Fairmont for mouth-watering tacos! These are just a few of our local favorites. Pasadena is proud to be home to many mom and pop restaurants, giving our city a unique culinary flair. If you’re looking for one of the familiar chains, we’ve got them, too. Buffalo Wild Wings, Texas Roadhouse, and all the familiar fast food--you’ll have no trouble finding a meal that hits the spot. As a result of Pasadena’s inclusion in the greater Houston area, the many benefits of living within one of America’s largest cities naturally fall into your lap. Whether you move to the area for business, pass through to check out the area attractions, or you are just here to stop by for a few minutes on your way to the coast, we are sure Pasadena will treat you well. The City of Pasadena is largely an Industrial area. It is also home to over 60 different chemical plants providing thousands of jobs for area residents. For assistance in finding employment Pasadena has many employment centers that are ready to serve you. LockTite Storage distinguishes its facilities through delivering excellent customer service. Giving customers what they need and want has been our business model since our company began, and has resulted in a local reputation in Pasadena, Deer Park, and La Porte for providing leading storage solutions. Read our reviews and learn why customers leave other nearby storage facilities to store with us and return whenever they need storage again. We have all types of customers from business tenants who need to free up space in their current office to residential customers who are in transition due to building their custom dream homes as well as customers who have downsized and choose to store seasonal items with us. We have a diverse consumer mix and strive to provide them all with excellence. No matter what your need is, we have the perfect solution! 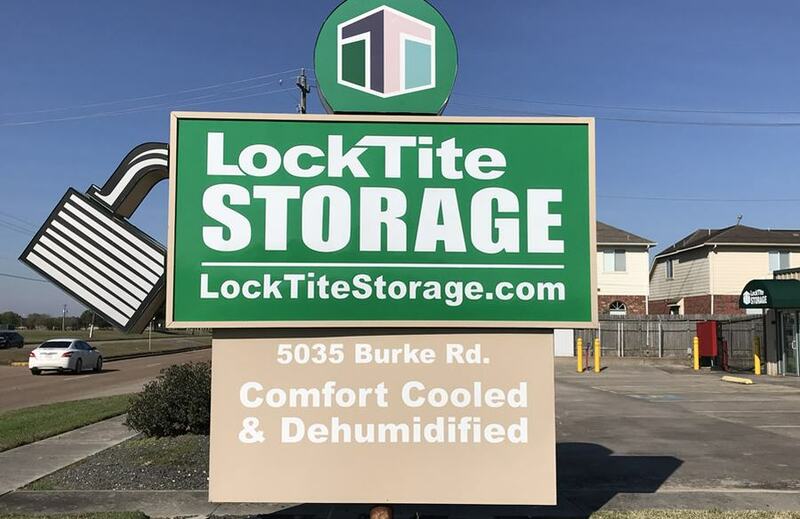 With a go-the-extra-mile business philosophy, LockTite Storage strives to make your move or transition easy and smooth so that you can get back to what is important to you. We provide more than a place to store your belongings -- we provide you with an experience so personal you will feel like family. Moving can often be exhausting; we get that -- so stop in the office and enjoy a complimentary snack and beverage anytime you are at our facility. Come in, sit down and relax. LockTite Storage in Pasadena offers our customers FREE use of a moving truck and trailers. We have a 14’ box truck with a dolly and pull out ramp as well as a 12’ enclosed cargo trailer for smaller loads. We offer these services to you whether you’re moving in or moving out. We love to have you a customer and never like to see you go, but we provide you the same services and benefits when the time comes for you to leave us. We understand the value for you in having this service and how it saves you time and money which is ultimately our goal. The truck has a free mileage limit of 50 miles a day and then low per mile charge. The trailers are also free to use and do not have a mileage limit. 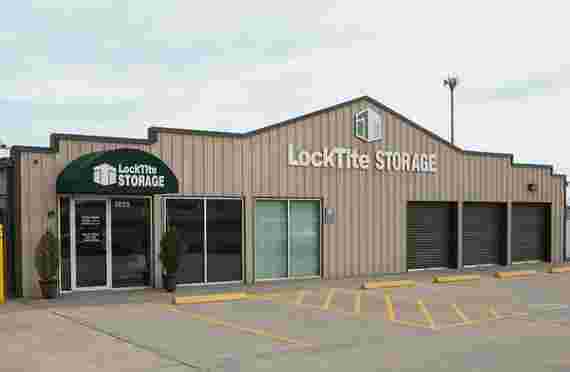 LockTite Storage in Pasadena is a well maintained, impeccably clean, well-lit facility so that you can see and be seen and has always provided our customers with exceptional service. Our LockTite Storage facility in Pasadena is conveniently located on Burke Road between Genoa Red Bluff Road and Crenshaw Road. When you plan to stop by our facility, there are plenty of excellent places for lunch or running errands while you're in the area. 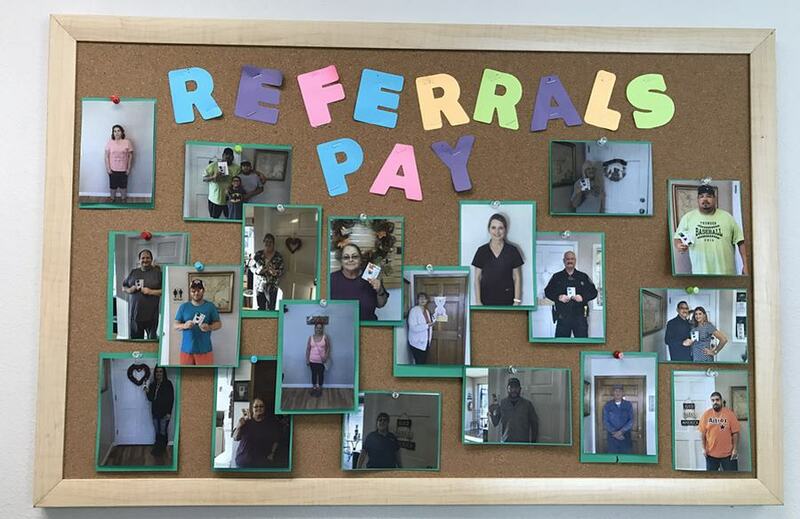 If you need local recommendations, feel free to come into the office or call us -- we always know of a great place to grab a quick bite and the best places to shop!